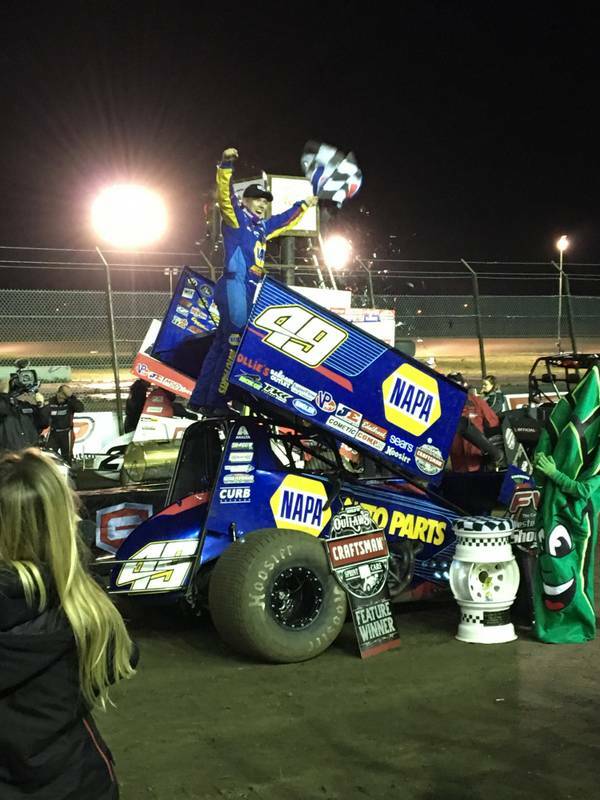 Brad Sweet captured his first victory of 2017, and his first in NAPA colors at Stockton, Calif. 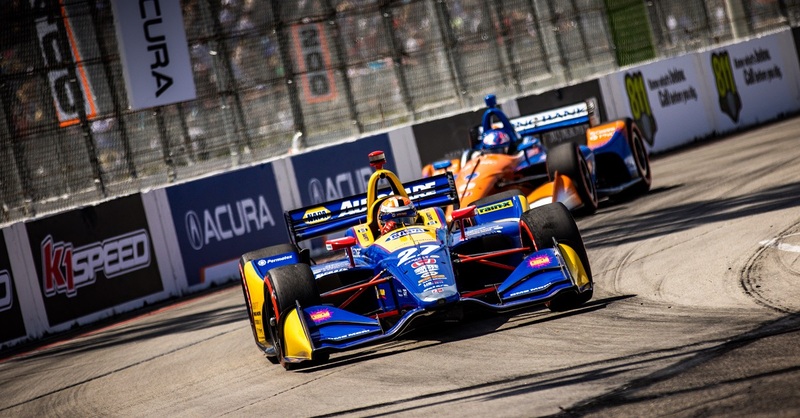 The California native and the No. 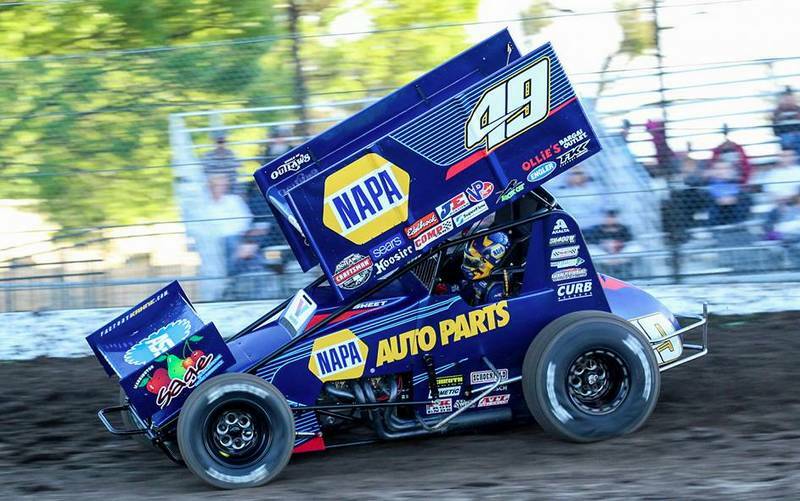 49 NAPA AUTO PARTS team picked up their first win of the season battling very rough track conditions at Stockton Dirt Track on Saturday night. 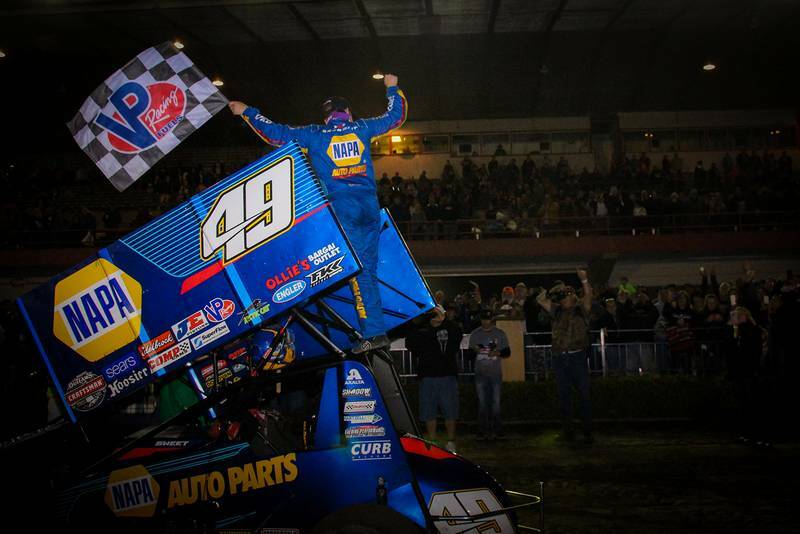 The win was Sweet’s first career win at Stockton Dirt Track, located in Stockton, Calif.
Sweet started the night off strong by qualifying second. 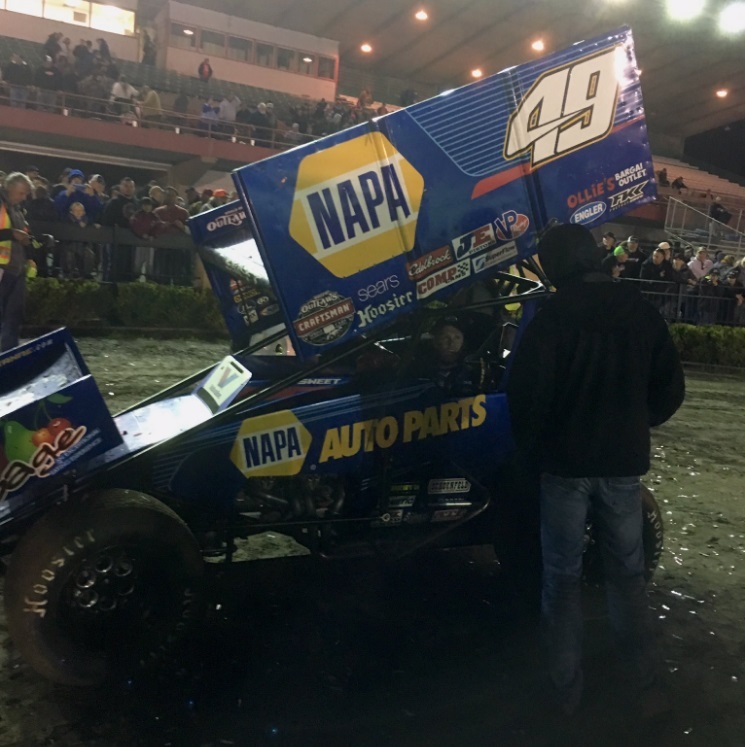 He went on to win his heat race, finished second in the dash, and the NAPA team would start second in the 30-lap feature in front of the sold out crowd at the 4/10 mile track. Sweet took the lead on lap three and maintained it until catching a rut in turn three on lap 24. 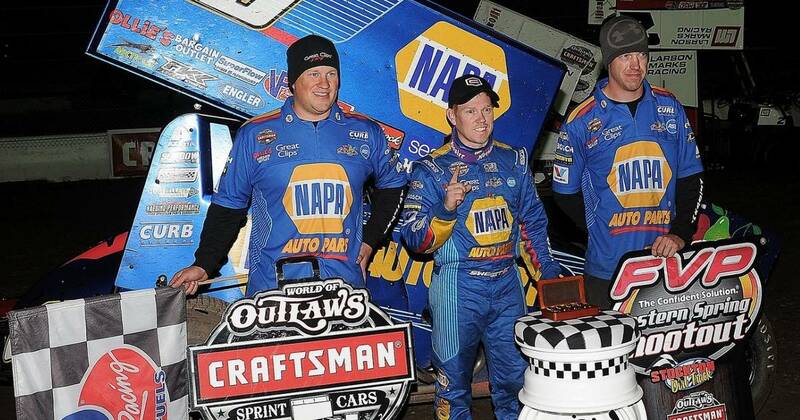 Sweet saved the car from a near flip, gathered it up, ran Donnie Schatz back down and retook the lead only a lap later to hold on for his first win of the year. 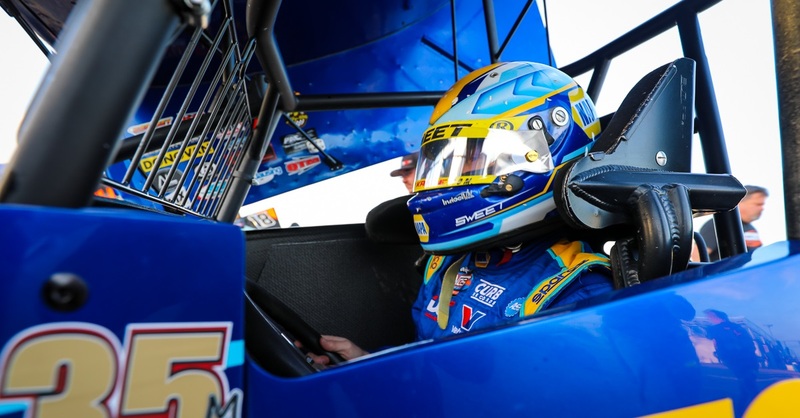 He is currently second in the point standings, 68 behind Schatz. 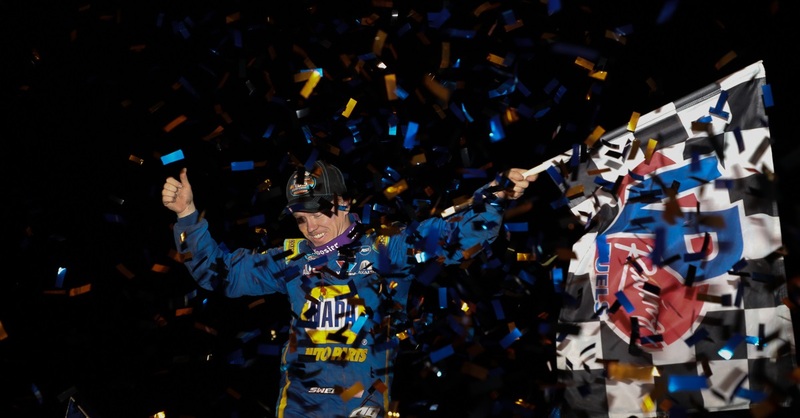 “That was a tough race with Donny (Schatz) right there and I’m definitely glad we came out on top,” said the driver of the NAPA AUTO PARTS/ Kasey Kahne Racing No. 49. 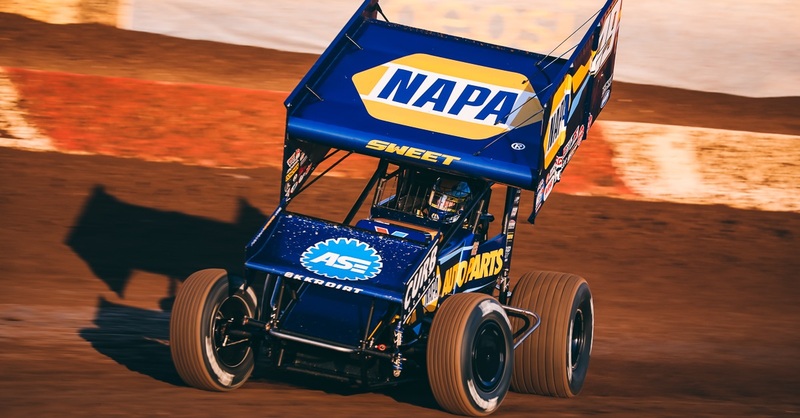 Next Race: Wednesday 3/29 – Placerville, Calif.